People generally don't have idea what exactly an Employer look into a prospective job candidate. I have seen many people blaming HR managers, when they didn't get an offer from a company they have been interviewed with. Every company has a different kind of culture and thus it's obvious that criteria for hiring candidate will also be different. When someone go for an interview he/she should have an idea about what the company could be looking for in an ideal candidate. Here are some points that every company consider when the appoint a new employee. Following are the things that an employer looks for in an employee during the interview process. This is the first and foremost thing that an employer looks for at the time of screening. HR managers calls in only those candidate who meet the relevant experiment criteria. The relevant criteria generally set either by the HR personnel or by the concern department manager, under whom the job profile is available. Most of the people generally has been filtered out at this stage by HR managers, So if you're planning to apply for a position, you must draft your resume in such a way that it should match with the relevant experience requirement for the position you are applying for. Every organization has a set criteria for education background. You're unlikely get an offer for a position where your education background doesn't match. I always encourage our blog readers to check for the education background requirement before you apply for a position. Prefer to apply for a position where you best fit. That mean if you're an MBA in Marketing, apply for positions where a business graduate degree in Marketing is required. If you will follow this, your chances to get selected will increase. During the interview round, HR managers try to judge your attitude towards work. If your resume says that you change your job very frequently, it's a clear indication that you're not serious about your job. There could be many other things which can talk about your attitude towards your job. If you don't have any big achievement in your career, this could also be a sign of your attitude towards work. Many big organizations also check what you've accomplished in past. These accomplishments could be from your education or during your career. Many companies i've seen put an condition that if a candidate has secure more that 60% throughout higher secondary, graduation & post graduation can apply for the profile. Some other ask you about your accomplishments that you've done during your career. So when you reach to a interview venue, must prepare with some of the accomplishments that you can talk with the interviewer. It's not only what you have done in past will be discussed during the interview but HR managers also talk about what you gonna accomplish in future. Companies now a days hire people who are ambitious and can lead the organization to the next level with their ambitions. Check on companies website about their future plans, their vision & mission and try to find out some answers which you can relate with companies future goals when you've been asked about your future goals. Every body learn with time and everybody's learning curve is different from each other. Some learn quickly some learn slowly but at the end what you've learned any what you've implemented from your learning matters. Sometimes you've to give some examples to the HR managers about a situation that you've handled with your experience. This kind of answers generally has to be given when you have been judge on you managerial skills by a HR manager. For higher positions, HR managers judge what kind of experience you have acquired from your past company & which kind of situations you have successfully handled there. Honesty is the best policy. everybody likes honest people. The same applies for corporate. People love to hire people who are honest towards their work & to the organization. When you have been asked to provide some information during the interview, always try to give the right information. Never try to be fake. Your chances to get a job increase when a HR manager find that you're honest. 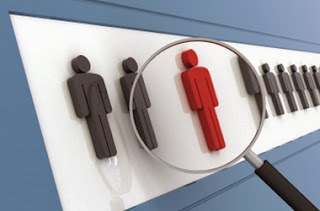 Following are the things that an employer looks for in an employee. Hope our today's article will be a help in your job hunt.